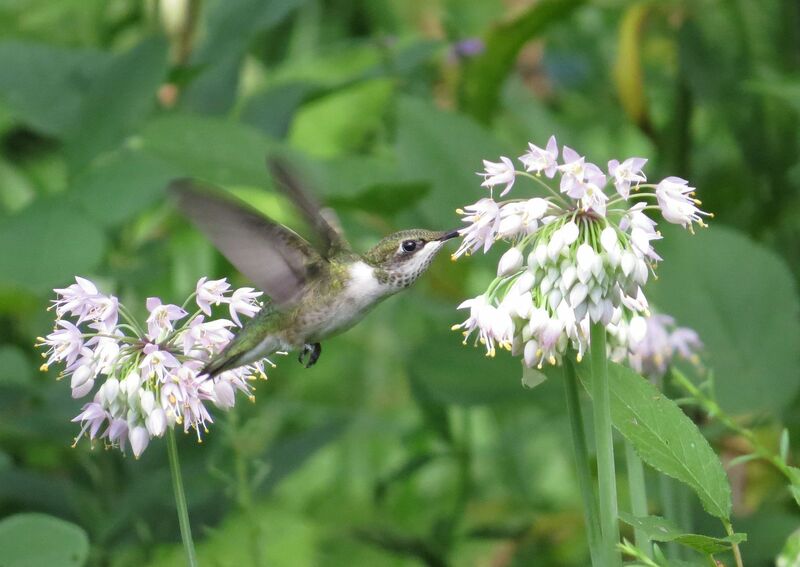 I never really thought of Nodding Onion, Allium cernuum, as a Hummingbird plant until today. 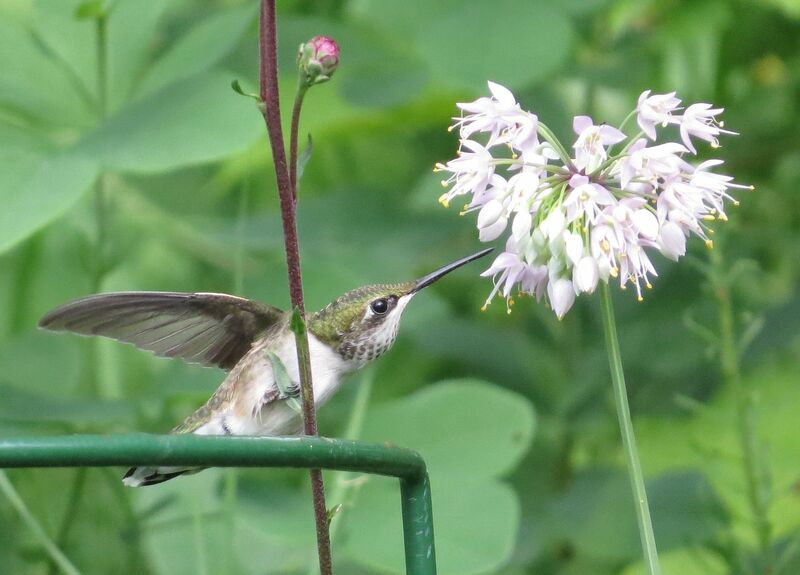 I have seen it listed in magazines from time to time as such but the Ruby-Throats that visit my garden always seem to go for the Iron Weed, Coral Honeysuckle, Button Bush, and Joe Pye Weed over these. The nodding onion patch is situated in a small sand dune I installed in my yard. My home sits on almost 100% clay so adding patches dense with sand allows me to grow a wider variety of plants. They've flowered for the past two years now and do decent with getting bee attention, bumblebees mostly. 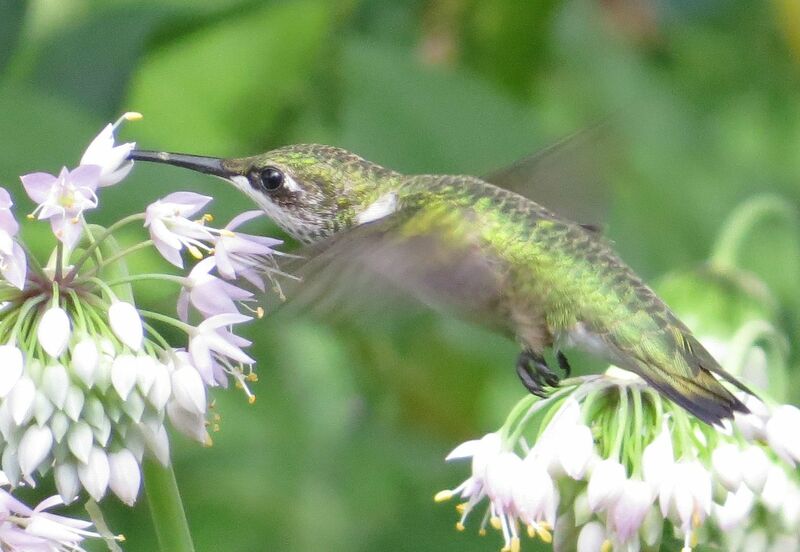 The patch of Mountain Mint in an adjacent flower bed steals all the attention though. 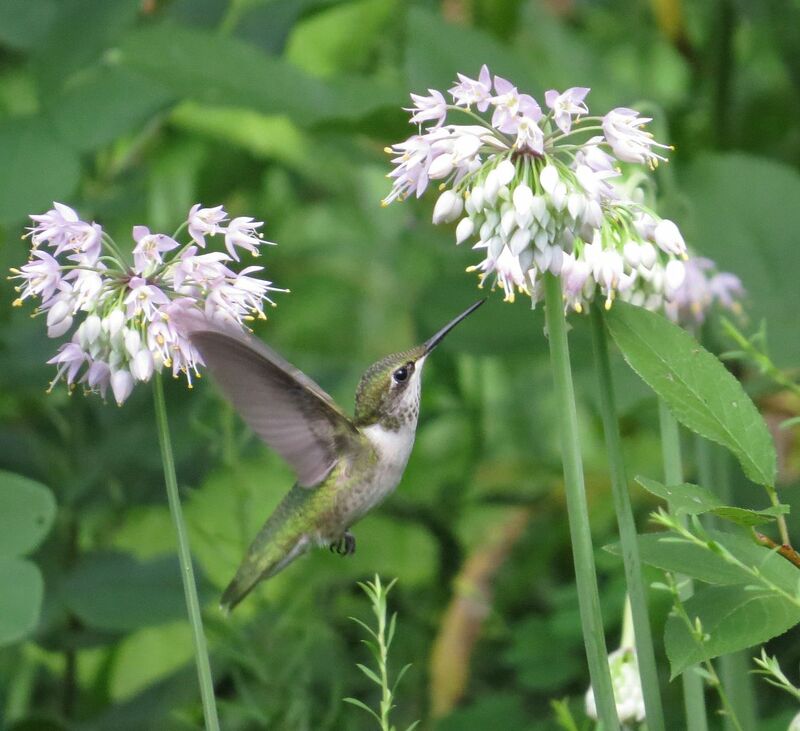 She (I think from the lack of iridescent feathers on the throat) was out there a good while visiting every last flower on the 30 or so onions I have flowering at the moment. It got to the point where she had to take a break but that didn't stop her from continuing to feed. The 4th Annual New Jersey Ant Together!